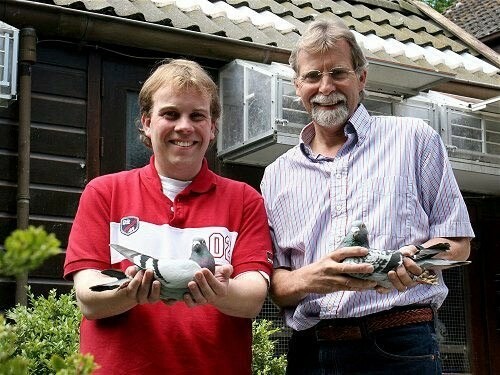 Gerard and Bas Verkerk’s results have been incredible in the last decades , many National Ace Pigeons and Olympiad Winners were born in their lofts. Birds of that caliber we like to introduce to our lofts. We did and got from their undisputed best, like from the no. 1 producing hen, BUBBLES, SUPERPRODUCER BULLDOZER, the bloodline of WOUNDED KNEE Schaerlaeckens, which we did have in our lofts at abundance, sensational OPRHA, brother SOLANGE, BONITA……In short the world class of the Verkerks can be found in Enter and they are winning here as well big , pure and in cross !